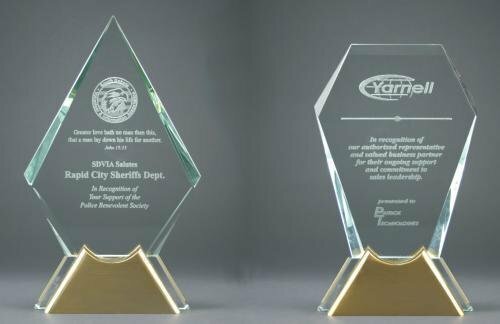 Two Different Styles in two different styles sporting jewel glass 1/2" thick and a gold finish metal base. 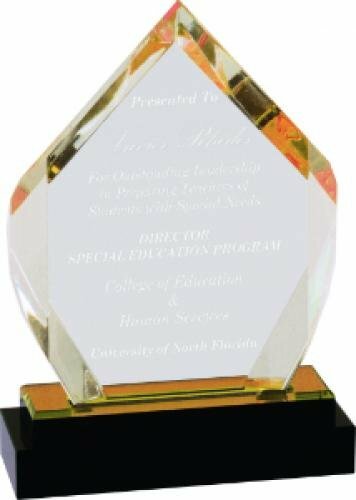 Each Glass award is individually boxed. Laser engraving to a white frost color. 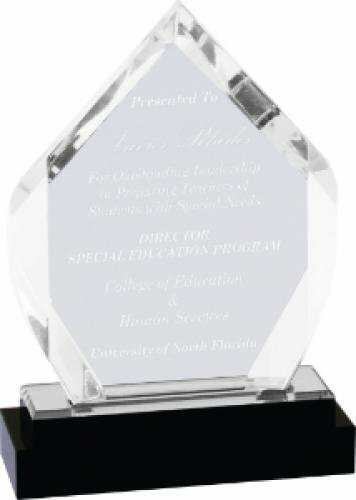 Full color imprinting available as an optional imprinting method for this award. 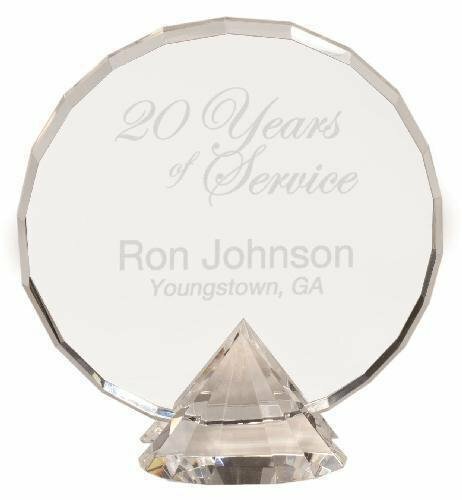 Clear Round Crystal Award with Clear Diamond Base makes and excellent employee recognition award, achievement award, sales award or customer appreciation award. 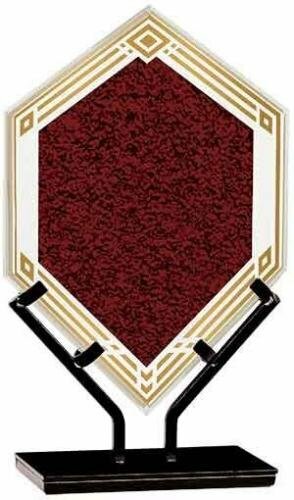 This unique round circle award boasts a diamond base. 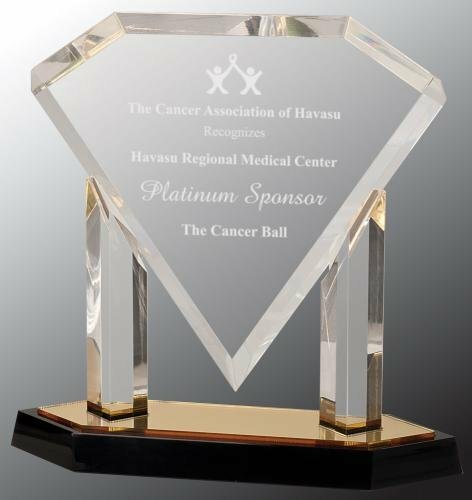 A a beautiful black crystal base topped with a silver acrylic strip supports a 5/8" thick acrylic faceted diamond to give this award tons of dimension and visual interest. The facets cut on both the front and back of the diamond catch the light, drawing the color up to reflect throughout the piece. 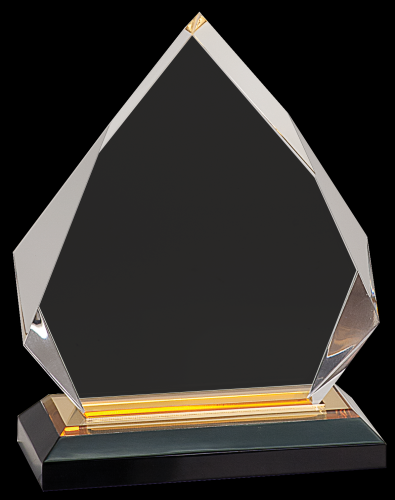 Available in 3 sizes to fit your award needs, this stunning modern award design is sure to impress your recognized achievers.